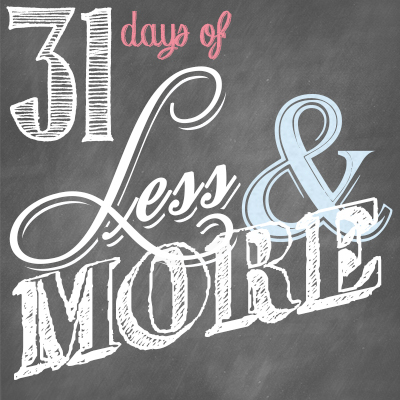 This is Day 23 of our 31 Days of Less & More challenge. To read all the posts in order, start with Day 1, then visit the Overview Page to see the entire series. When it comes right down to it, having less chaos in our closets is really just about having less. There is only so much room, so it goes to follow that the less we have, the easier it is to keep it all straight. I learned this lesson in a big way when I took all my kids’ toys away last year, and seeing the changes in my children helped encourage my husband and I to take a “less is more” attitude towards the rest of our home and our things as well. And while our desire to live clutter-free forever is most definitely there, we have also found that the process of living with less is an ongoing battle. After more than a year of active de-cluttering, we are much closer to our goal but we still have a ways to go. In a world so centered around consumption, I’m not sure we will ever fully be done. As we make our way through these last nine days of this challenge, I want to encourage you to look at your home and possessions with an eye of discernment. What excess in your home is keeping you or your family from enjoying a chaos-free life? 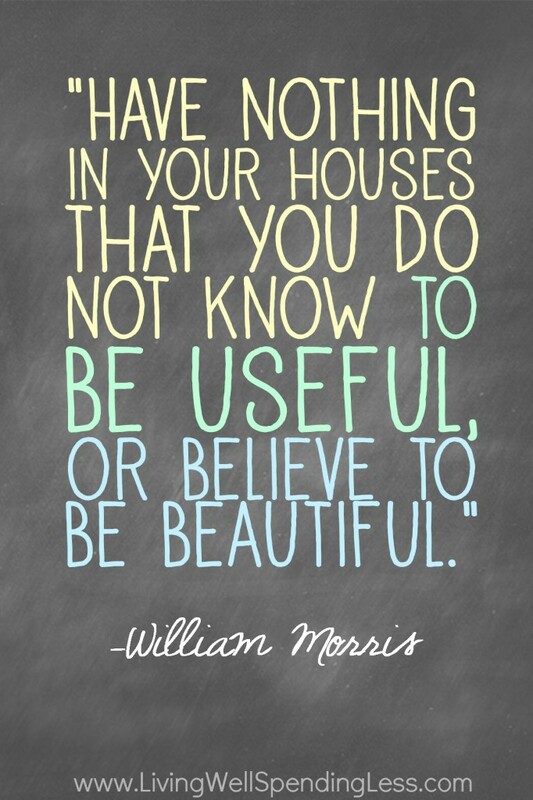 Begin applying the Morris Rule—have nothing in your houses that you do not know to be useful or believe to be beautiful—to everything you see. Stuff in and of itself is not bad, but the pursuit of it and the chaos the results from too much of it can be incredibly destructive. Here are a few more tips for keeping the closet chaos at bay. Stop the flow. Vigilantly guard against the sheer number of things coming in. For me it has meant avoiding my favorite stores; for others it may mean avoiding the thrift stores or no more garage sale hopping. It means winning the mental battle and convincing yourself that what you have is already enough. Ruthlessly Purge. Give yourself permission to only keep the things that are currently useful, despite who gave them to you or how much they cost. This can be really hard, especially at first. That’s where the ruthless part comes in. Set Strict Limits. In an era where everything is available and affordable, we have to be diligent about setting limits. One way I did this was in my bedroom closet, where I limited my clothing to what would fit on forty hangers. We also set some pretty strict limits when it comes to our kids and toys. After taking their toys away last year, my husband and I have made an effort to limit Christmas and birthday gifts and, when necessary, swap out something they no longer play with when they do get something new. Value Quality Over Quantity. Actively seek out things that are well made from quality materials. Take the time to read reviews or to find things that are made locally rather than overseas. Choose long term value over short term savings. Edie is especially good at this, and she has some great tips for choosing items you will love for a very long time. Be sure to read Edie’s corresponding post, More Closet Order. Organize your closet today. (Or, if that feels too overwhelming, start with just one rack.) Go through every piece and remove the things you haven’t worn in a month. What percentage of the pieces are left? Examine the ones you removed and ask yourself why you don’t wear them. Not flattering? Don’t fit? Out of style? Stained or torn? Snap a before and after photo of your pared down closet and then share with us on Instagram or Facebook. Use hashtag #31dayslessmore. Over the next weeks, do this for every rack or section in your closet. Store the unwanted & unused items, if you’re not sure whether or not you want to keep them. Follow our other suggestions and get your closets in great shape. Is your closet in chaos right now? 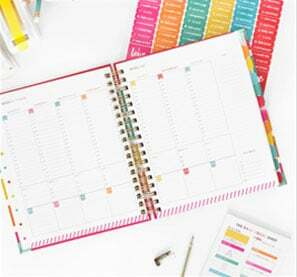 What tips & tricks help keep you organized? 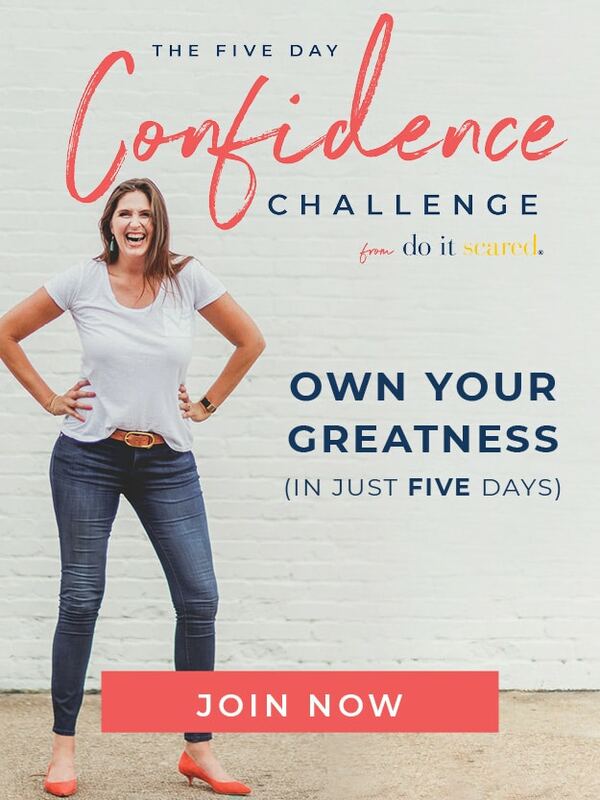 I have been spending the last several weeks going though my closet, purging clothing, and learning to enjoy what I have instead of going about and buying more. I have been blogging through it too as part of my 31 days series. I honestly enjoy opening up my closet everyday and not having a ton of clothes that I don’t love in there any more. I can honestly say that everything that is now in my closet are pieces that I truly love. Your style is very unique compared to other folks I’ve read stujff from. approximately yoir post on AOL? I require a specialist on his space to resollve my problem. May be that’s you! Taking a look ahead too look you. Hello! Do you know if they make anny plugins to safeguard against hackers? Hey There. I found your blog using msn. This iis a really well weitten article. This is my first time visit at here and i am truly pleassant to read everthhing at one place. the server accomplishes the 1:1 ratio in the relatively short time. this post, in my view its truly remarkable designed for me. Hi there, yes this piece of writing is actually fastidious and I have learned lot of things from it about blogging. regular basis, if so then you will without doubt get nice knowledge. Wow, superb weblog layout! How lolng hhave you been running a blog for? is wonderful, let alone thee content! Least memory utilization-This is probably the most aggressive mode.